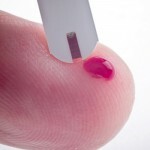 From Diabetes Self-management, How to deal with low blood glucose levels? Do you struggle with low blood glucose levels? What do you do to prevent them and get them back up? Let’s look at what some experts suggest.